This work was supported in part by a grant from the Dean's Fund For Professional Development, from the School of Humanities, Arts, and Social Sciences of the Massachusetts Institute of Technology. And for that I am extremely grateful. Seen from afar in the rainy season, the Central Plateau of Haiti is a breathtakingly beautiful place, with its rolling green, brown, and yellow hills and valleys and surrounding mountains. 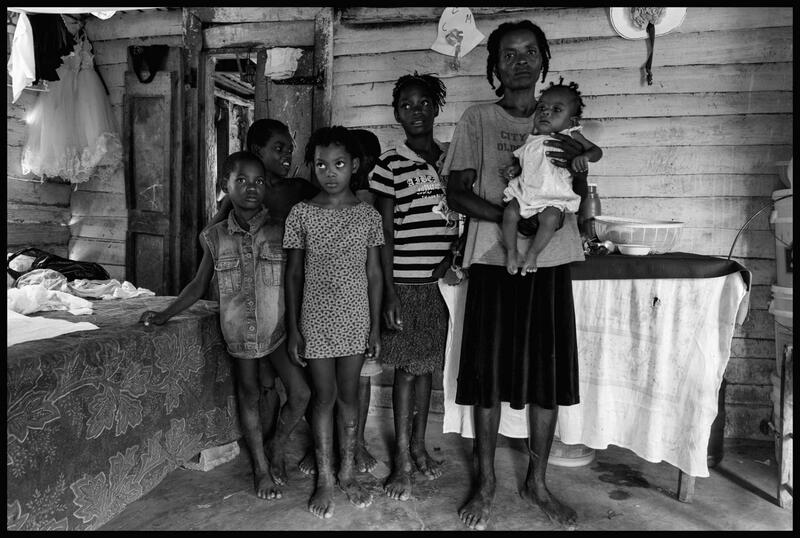 But the reality of this portion of the Carribean island of Hispaniloa is anything but beautiful: It is, in fact, a hard, mean place, the poorest region of the poorest country in the Western Hemisphere, where daily existence is a never ending struggle, and maternal and infant mortality, and the death rate for children under five, are all the highest in the Hemisphere. 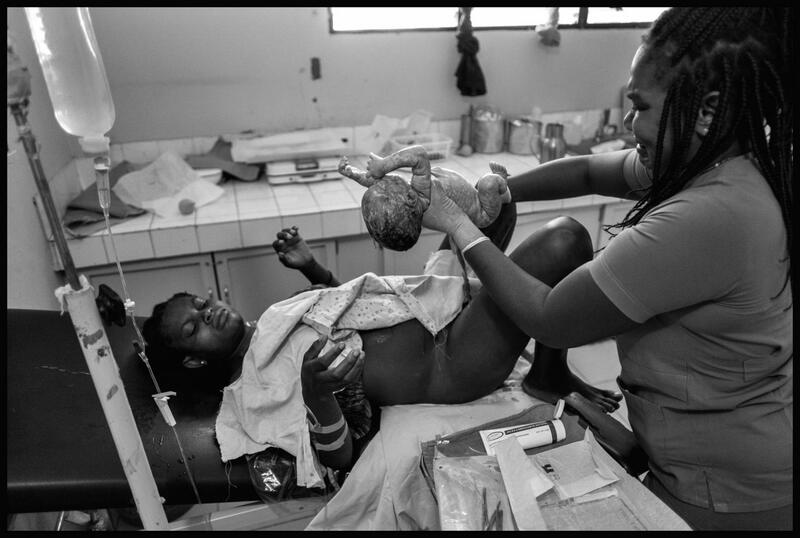 This is why a dozen years ago a small NGO called MidwivesForHaiti settled in for the long haul, providing care to women and children, and training Haitian midwives and birth attendants. Haiti’s mountain ranges, with some peaks as high as the average peak in the Rocky Mountains of the western U.S. and Canada, block the winds and thus the rains, that make the Dominican Republic fertile, making large areas of Haiti barely semi-arid, and making raising crops extremely difficult. Couple that with deforestation that dates back to the nation’s days as the world’s leading sugar producer – and France’s richest colony, and you begin to get an idea some of the natural difficulties Haitian’s face. Hatian life expectancy is about 62 years; only an estimated 52 percent of Haitians are literate – a literacy rate lower than that in only a tiny handful of nations in the world; unemployment is staggering; less than half the population has access to safe water supplies; only about half of Haitians have access to, or can afford, health care; and the growth of an estimated one-in-five children under five is stunted. Were it not for the presence in Haiti of an estimated 10,000 Non-Governmental Organizations – NGOs - providing health care, care for orphans, working to make clean water a reality, building facilities, and on and on, and were it not for the incredible resilience and determination of the Haitian people, the reality of Haiti would be far more grim than it is. One of those NGOs working to improve life in Haiti is Richmond, Virginia-based Midwives For Haiti. The organization is the brainchild of Nadene Brunk, a Certified Nurse Midwife who visited Haiti in 2003 as a volunteer member of a medical team. 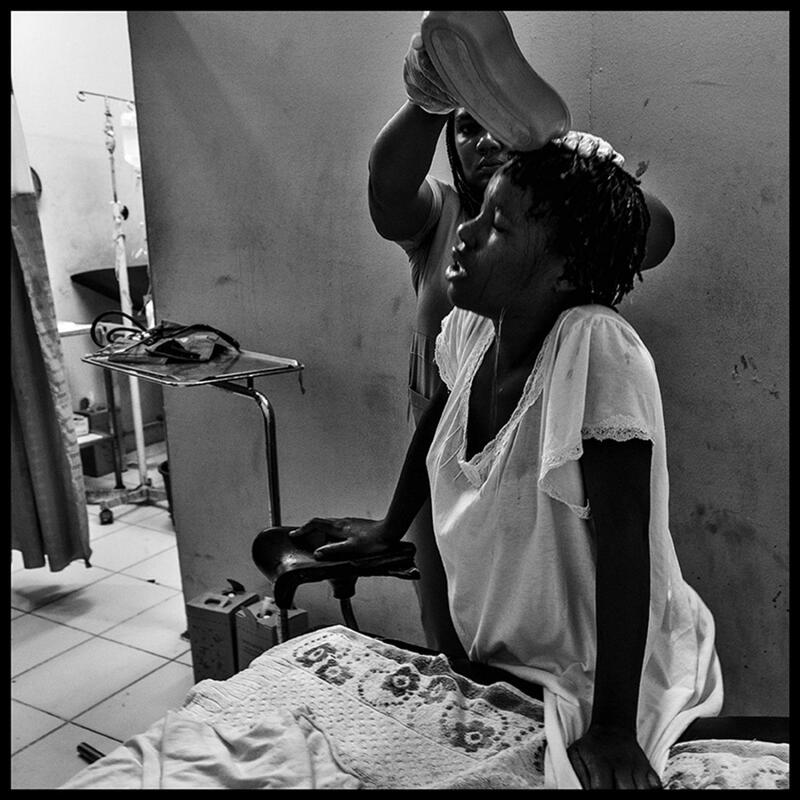 Brunk witnessed first hand the desperate need on the Central Plateau for maternal and child health care, and responded to the need by creating Midwives For Haiti. 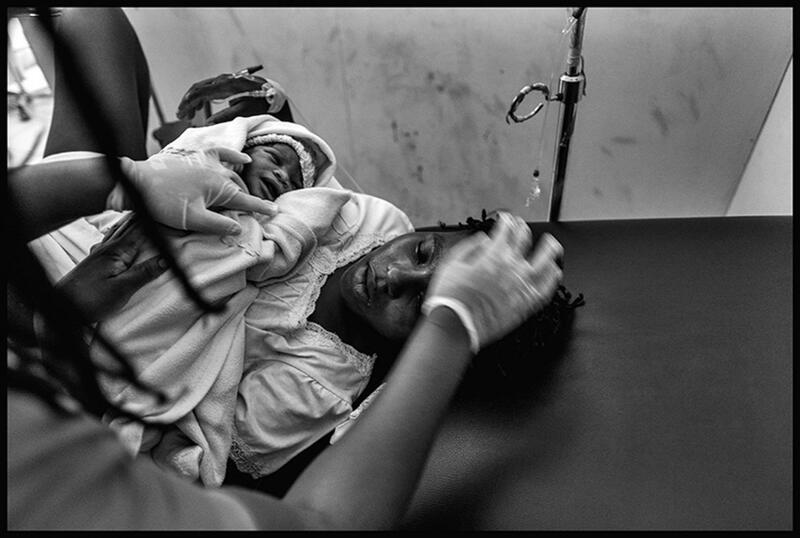 At the request of members of the Hinche community, Brunk established the training programs that are now the hallmark of Midwives For Haiti's efforts on the Central Plateau. 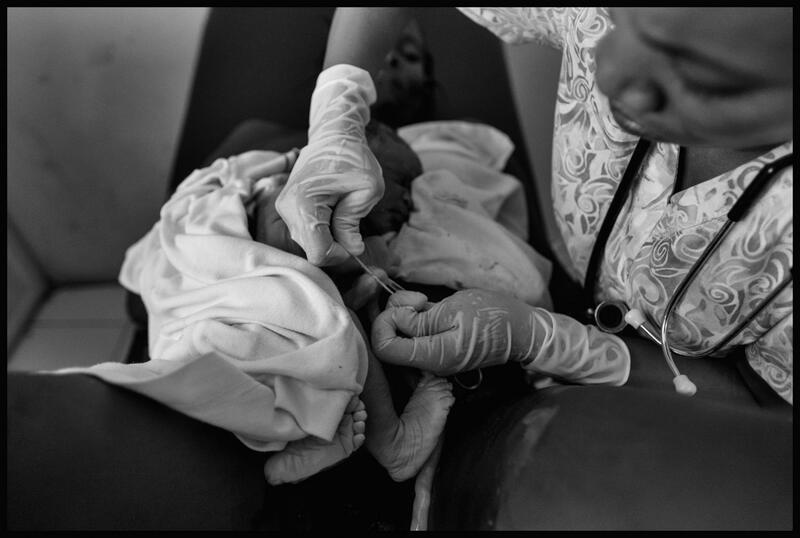 With the help of volunteer nurse midwives from the U.S., the program is dedicated to creating a solid Haitian infrastructure that will be providing care to pregnant women and their infant children long after the last American leaves the Central Plateau. Said Brunk: ""We were sure that many people looked at us in those early years and thought we were well-meaning idealists on a fool's errand. But, we also knew that empowering women to care for their own communities was the way to effect lasting change in Haiti." In addition to training Haitian midwives and traditional birth attendants, Midwives For Haiti provides a schedule of traveling clinic visits, returning to specific sites on a regulalr basis, Traveling in the organization's garish pink, chopped and lengthened 1988 Jeep Wrangler - that is now in desperate need of replacement, the staff turns small rural houses into clinics serving women, some of whom walk for hours, often carrying infants and young children, across the eastern end of Haiti's Central Plateau. In addition to providing rural clinics, Midwives For Haiti, working closely with the Haitian Ministry of Health and the medical NGO Partners In Health, provides maternity staff for St.Therese Hospital, in Hinche. In a maternity ward that had been staffed by a single OB and one midwife. 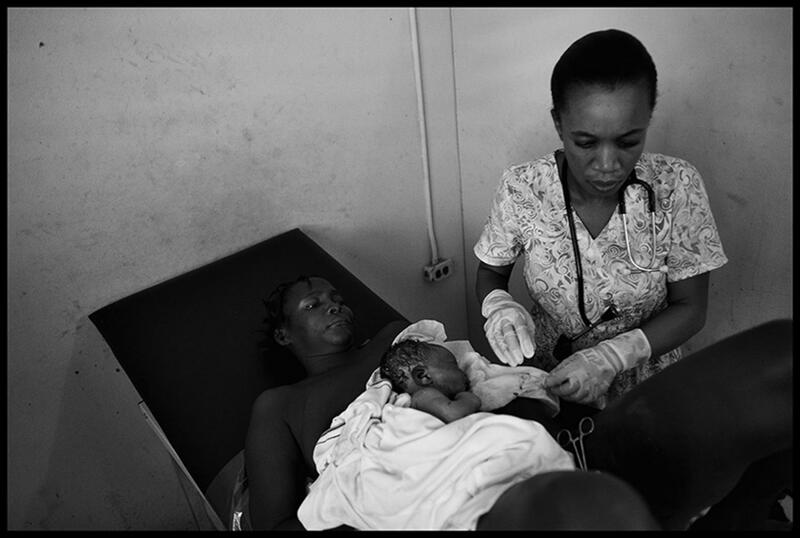 Midwives For Haiti trained Skilled Birth Attendants, and nurse midwives in training, now support more than 2,000 births a year at the hospital. And this fall the organization is opening a free-standing birthing center in Cabestor, a tiny, isolated village about a dozen miles from Hinche. There women from the surrounding area - who now either give birth at home, or have to travel, nine months pregnant, riding sidesaddle over rocky, rutted dirt roads to the nearest hospital - will be able to give birth in a clean, comfortable facility staffed by Haitian midwives trained by Midwives For Haiti. All the women you see in these photos gave explicit written permission for me to photograph them and to display the photographs. All signed brief, easily understood, blanket releases, written in Haitian Creole, which they either read themselves or were read and explained to them, prior to my starting to photograph them. 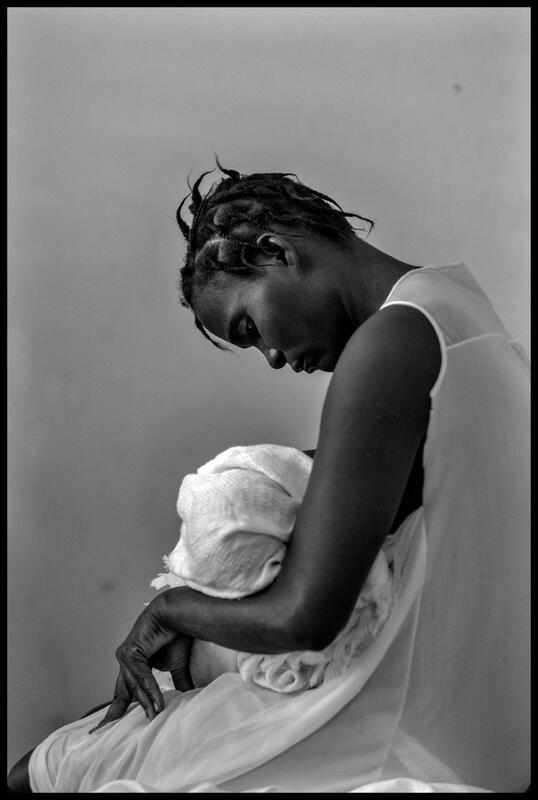 Here is another exhibit that focuses on the work of the Midwives For Haiti mobile clinic operation. B. D. Colen is a Pulitzer Prize-winning former reporter, editor, and columnist who spent 26 years at The Washington Post and Newsday, covering medicine, health care, and health policy for 17 of those years. A photographer for more than 50 years, Colen began his professional photography career in 1963, covering the historic March on Washington for Jobs and Freedom for a weekly newspaper in Connecticut. 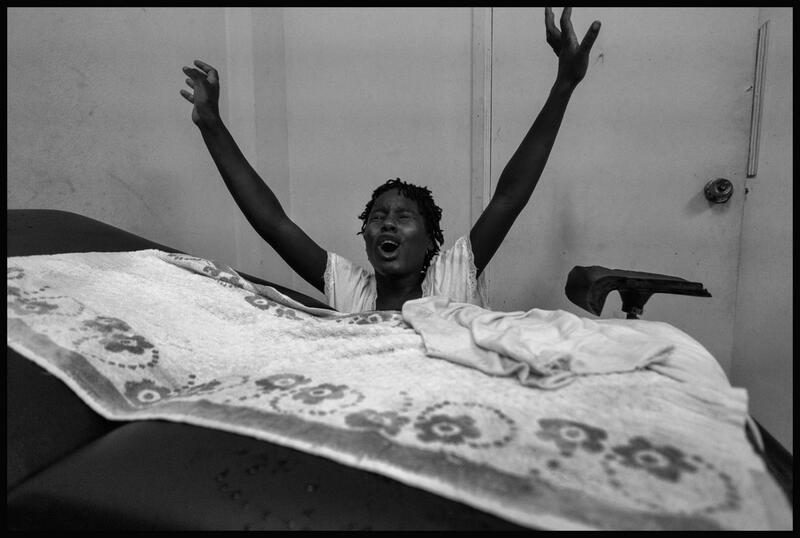 For the past 14 years Colen has taught documentary photography and journalism writing courses at The Massachusetts Institute of Technology (MIT), and he also has taught photography at the Maine Media Workshops, the Harvard University Extension School, and in private workshops. Colen's work has appeared in publications from Newsday, to the New England Journal of Medicine, from the Boston Globe, to the Christian Science Monitor, as well as on a number of websites including those of WBUR FM, WGBH FM, and Boston Magazine. Addiitionally, he has photographed for numerous corporate and institutional clients. B. D. Colen is available for international and domestic documentary work for NGOs, editorial clients, and private individuals. The island nation of Haiti is most often portrayed photographically as a land of brilliant, striking colors and hard, white, Caribbean sunlight. But the primary colors that scream Haiti can hide the harsh reality of life in what is closer to being an African failed state plunked into the warm sea than it is to being an island paradise. And that is especially so for Haiti's women: For them the western half of the island of Hispaniola is a hard, mean place, the poorest region of the poorest country in the Western Hemisphere, where daily existence is a never ending struggle, and maternal and infant mortality, and the death rate for children under five, are all the highest in the Hemisphere. This woman lives with her six children in the tiny village of Cabestor, on the Central Plateau. Seen from afar in the rainy season, the Central Plateau of Haiti is a breathtakingly beautiful place, with its rolling green, brown, and yellow hills and valleys and surrounding mountains. But the reality of this portion of the Carribean island of Hispaniloa is anything but beautiful. It is, in fact, a hard, mean place, the poorest region of the poorest country in the Western Hemisphere, where daily existence is a never ending struggle, and maternal and infant mortality, and the death rate for children under five, are all the highest in the Hemisphere. 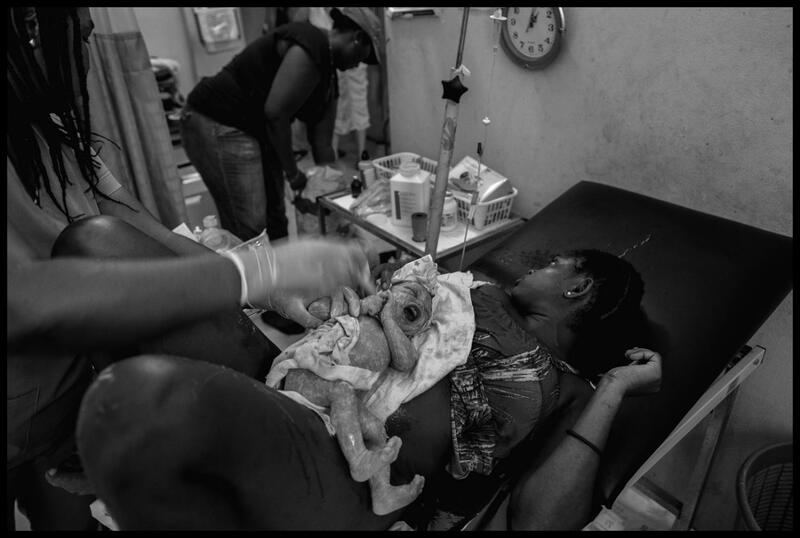 This is why a dozen years ago a small NGO called MidwivesForHaiti settled in for the long haul, providing care to women and children, and training Haitian midwives and birth attendants. 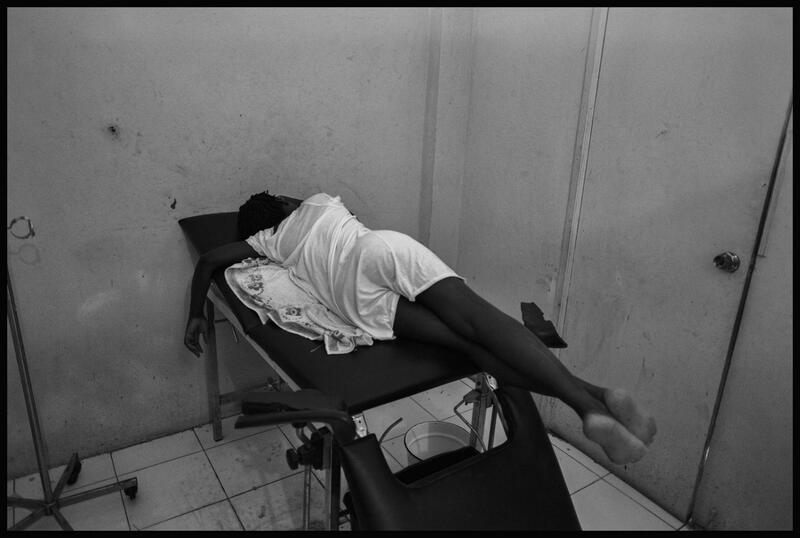 A young woman in labor with her first child in the St. Therese Hospital maternity ward. 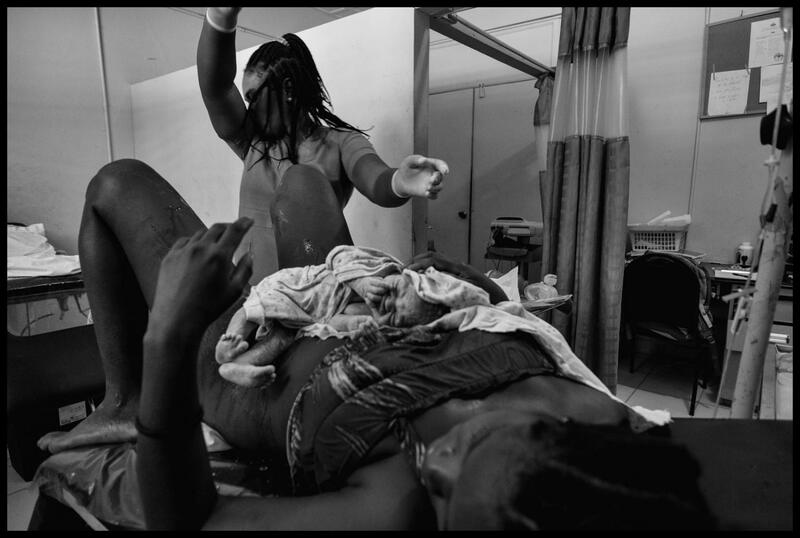 Marie Denis, a midwife trained and paid by Midwives For Haiti cools off a young woman in labor with her first child in the maternity unit of St. Therese Hospital, in Hinche, Haiti. Between contractions, the young maternity patient attempts to get some rest. Some three hours later, the young woman gave birth, and was comforted by the midwife who delivered her. 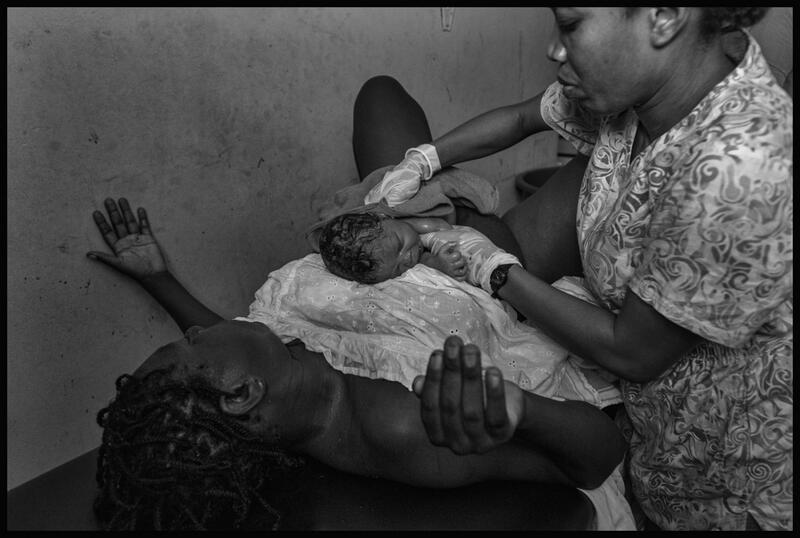 A Haitian midwife trained by Midwives For Haiti delivers a young woman's second child. A woman whose second child is being delivered appears to be watching the comings and goings in St. Therese Hospital maternity unit, where privacy is scarce at best. 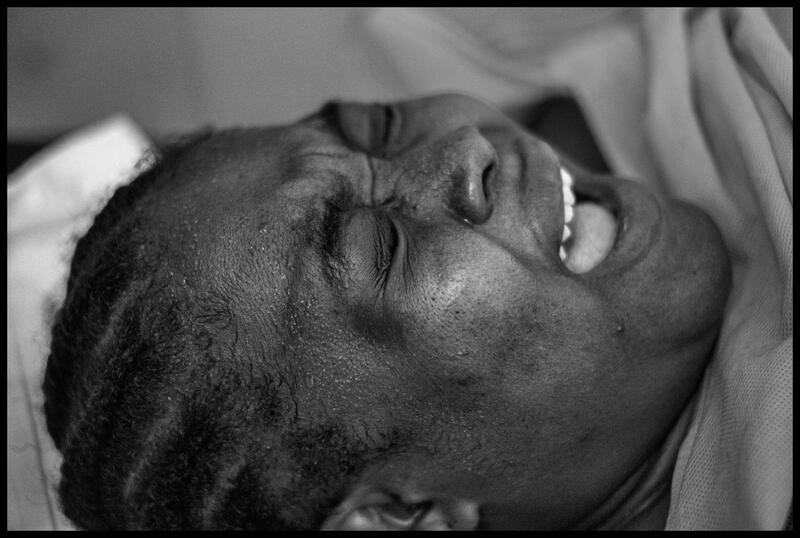 A woman who has just given birth rests with her infant. 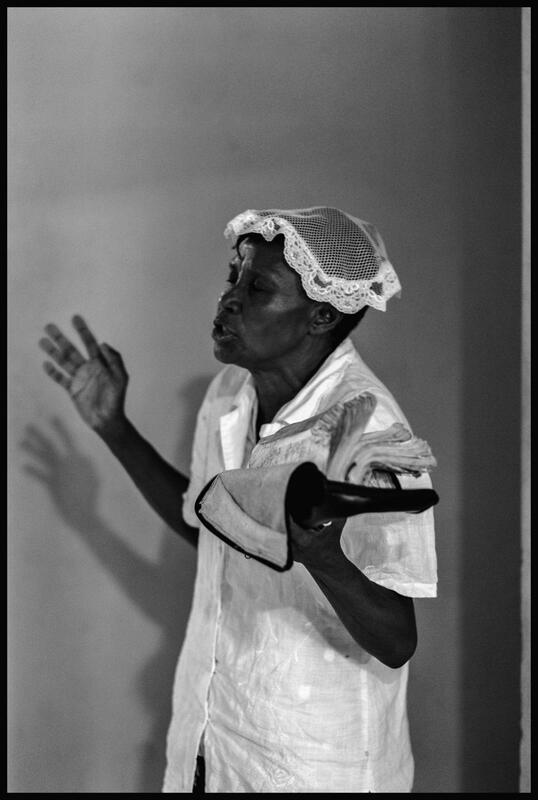 An older woman stands in the area just outside the maternity unit praying and singing hymns in Haitian Creole for the women in the unit in St. Terese Hospital, in Hinche, Haiti. 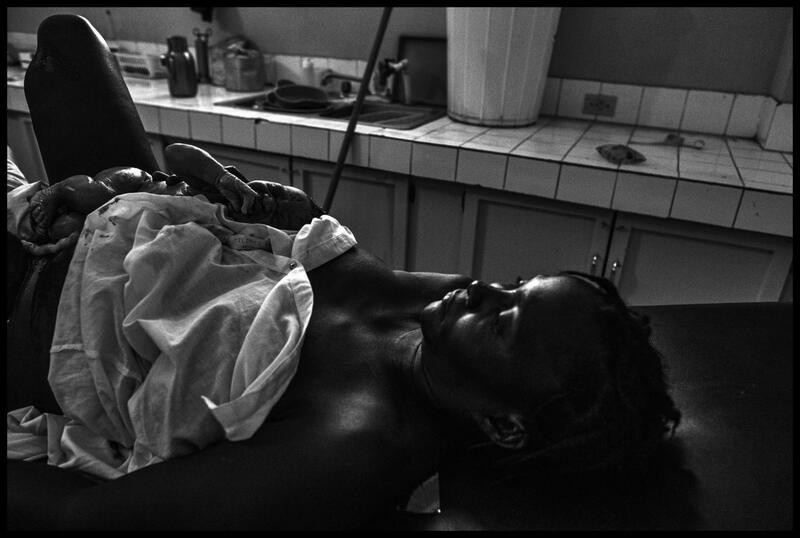 Haitian midwife Carmelle Moise prepares to cut the umbilical cord of the infant she is in the process of delivering in the St. Therese maternity unit. Midwife Marie Denis pauses in the middle of a delivery to wipe away the sweat pouring off her head in the maternity unit where the temperature can exceed 100 degrees and the concept of a "comfort index" is meaningless. A woman contemplates her ninth child, to whom she has just given birth. 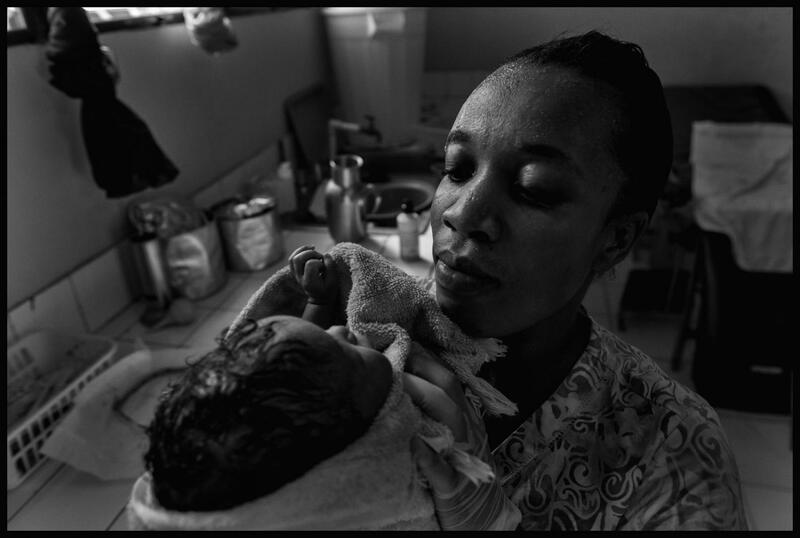 Carmelle Moise, a midwife trained by Midwives For Haiti, contemplates an infant she has just delivered in the St. Therese Hospital maternity unit. 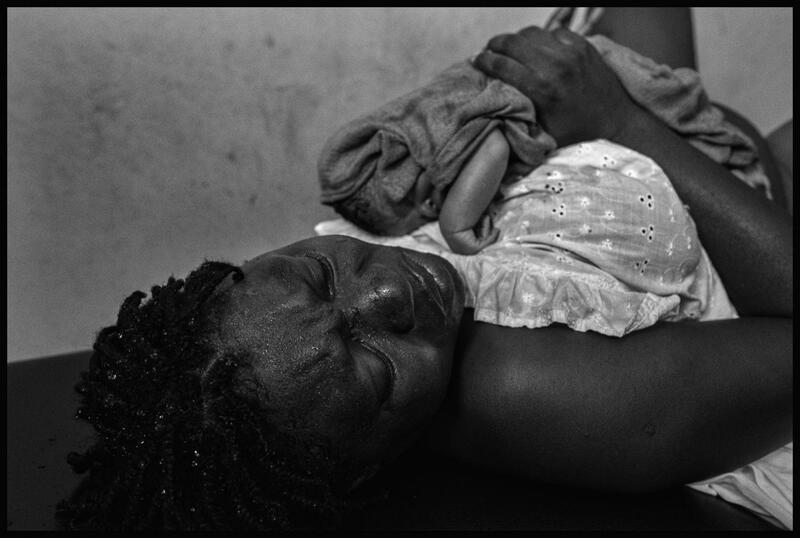 The struggle to improve conditions in Haiti is sisyphean, which explains why Nadene Brunk, the American Certified Nurse Midwife who started the organization in 2003 and is its driving force to this day, speaks of saving one mother and one infant at a time. 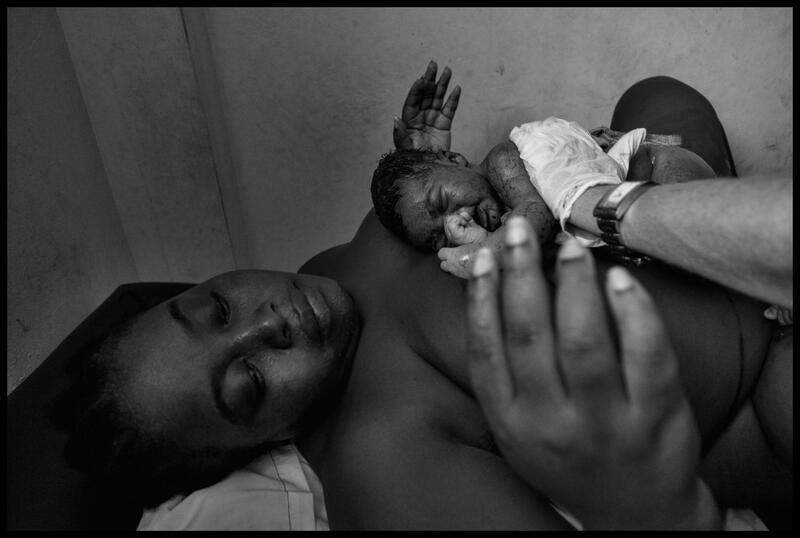 Carmelle Moise, a Midwives For Haiti-trained midwife, lays the newborn on its mother in order to be able to clamp of and cut its umbilical cord. Here the midwife ties off the umbilical cord. And then the mother has a moment alone with her newborn. A woman in hard labor. 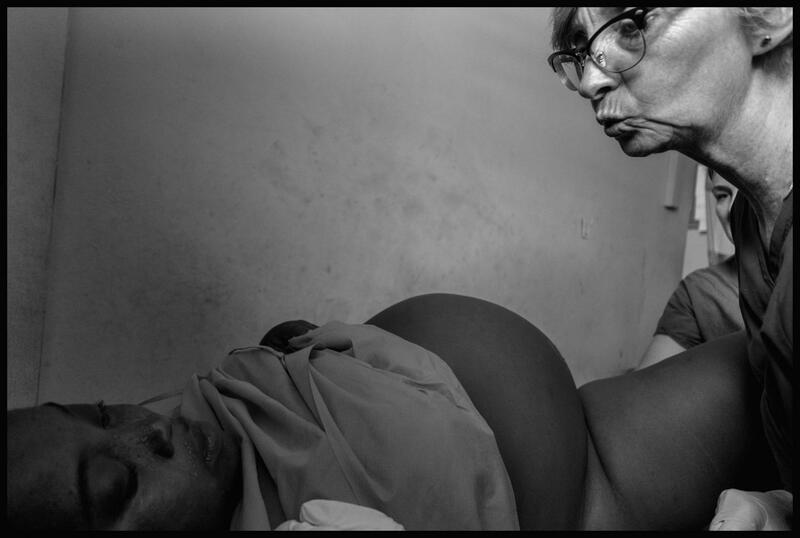 Volunteer midwife Melonie Allen, from Midwives for Haiti, helps a Haitian mother in labor with her breathing. 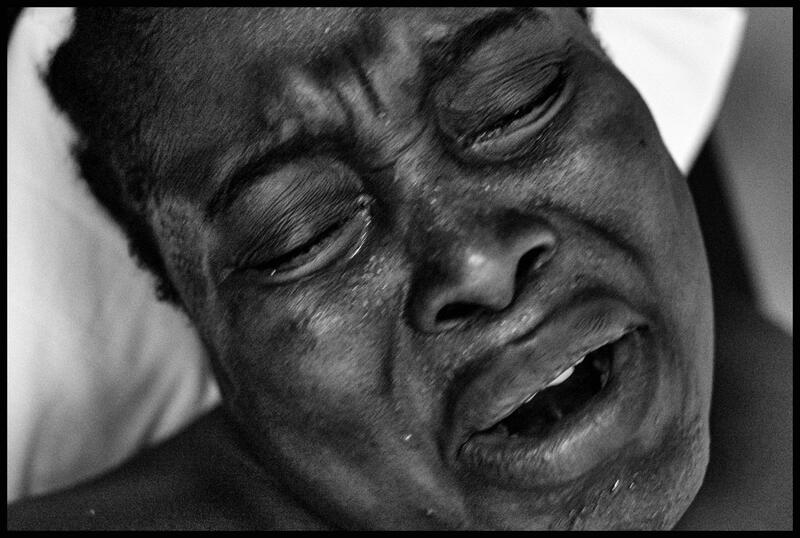 In this image a Haitian obstetrician who volunteers his services at St. Therese Hospital explains to the woman in the previous two images, and those that follow, that she will not, as he had told her, need a cesarean. 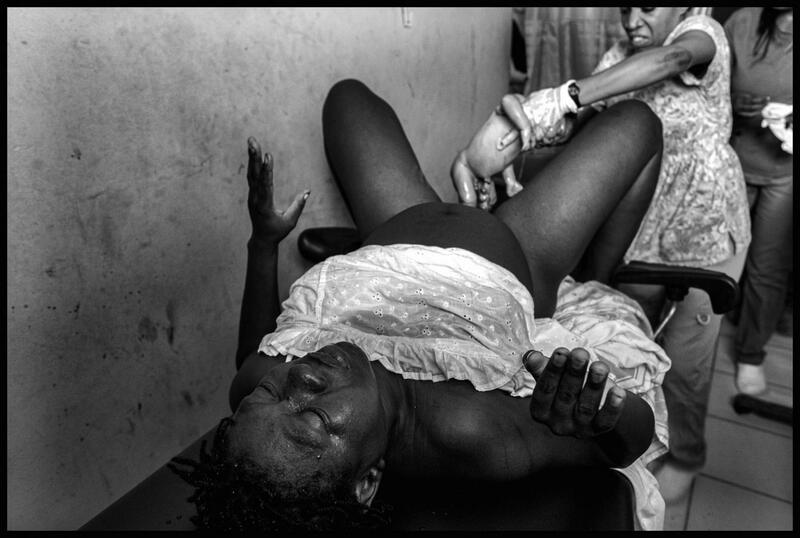 The midwives, he explains in creole, will be able to deliver her baby, despite its anterior, or face up, presentation. The woman's labor is long and difficult. 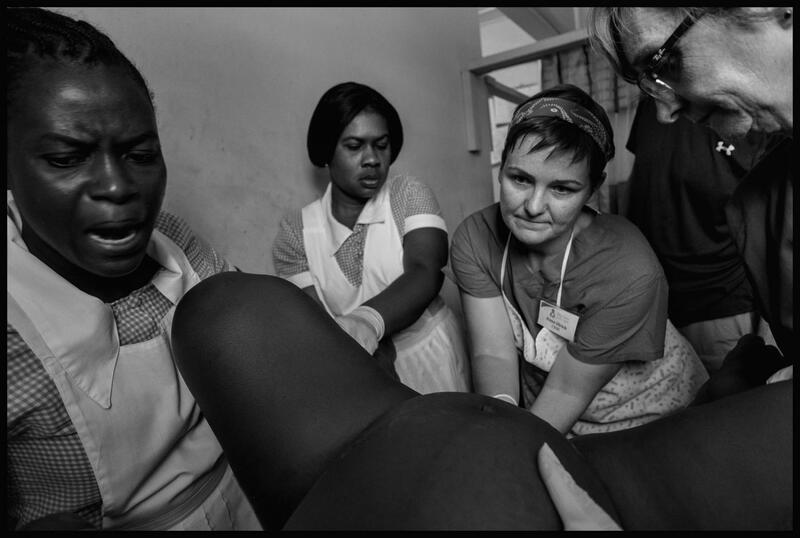 Volunteer midwife Dana Ulrich, just out of her training in the U.S., calmly takes command of the situation and enlists the help of two Haiti student nurses at St. Therese Hospital, in Hinche, Haiti. 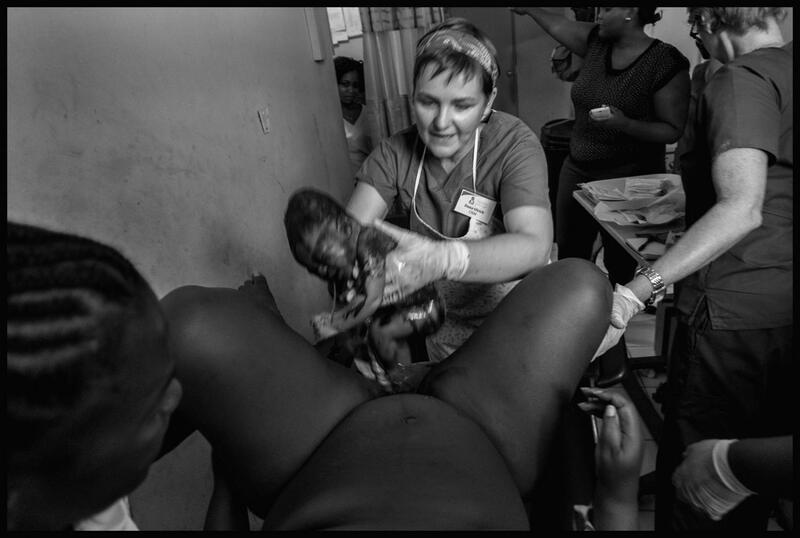 Here the midwife in charge of the delivery, can be seen framed by the patient's leg, held by another Midwives For Haiti volunteer. Here she brings brings the infant out into the world. And finally the infant is placed on its exhausted mother's breast.